Special notes: Both girls arrived with urinary tract infections. They are undergoing treatment. About Us: We were surrendered together as "strays". No other information was sent with us. 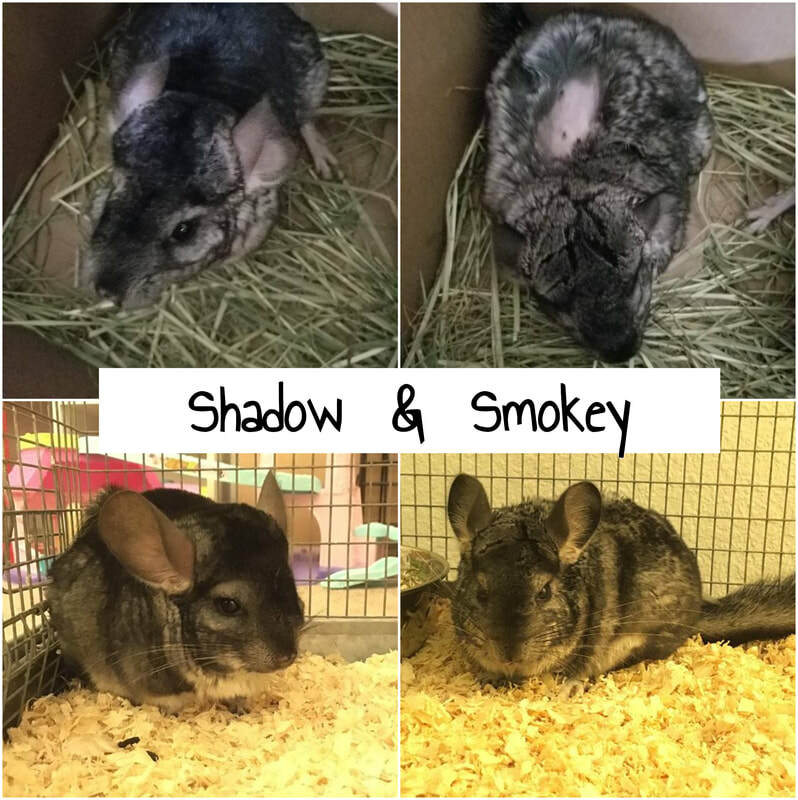 The girls were surrendered together as a pair, but Smokey has a large fur slip patch on her back and we were not given an explanation. No wounds ( the 2 dark spots are bits of fur that grew in ). As a precaution, we separated them. Leah ( their foster ) may reintroduce them to see if there are any signs of hostility. They showed no signs while together upon drop off, and travel to the vet then to the foster. Smokey and Shadow do NOT get along and fight. So they will be adopted as singles. 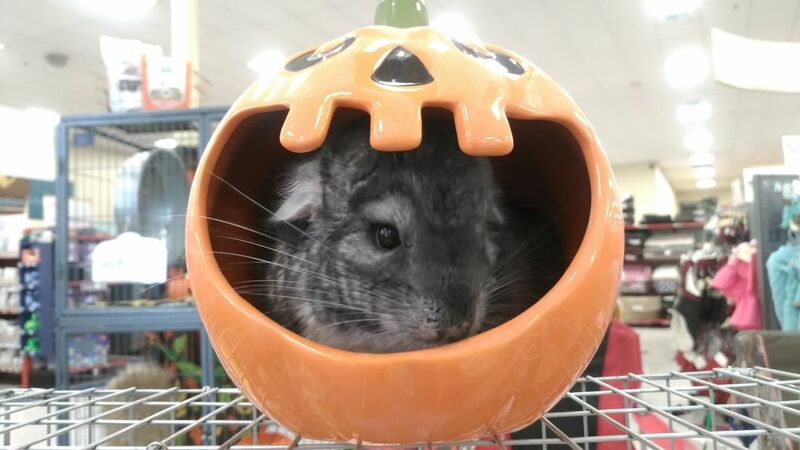 Smokey is a small, inquisitive Chinchilla. She likes calmness.